More than half of home visits include screening for social determinants of health. Which patients should healthcare providers visit at home? 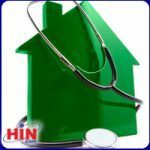 A new survey on home visits identified three key populations that should receive home-based care management: the frail elderly and homebound (69 percent); the medically complex (69 percent); and individuals recently discharged from the hospital (68 percent). In stratifying patients for these home visits, 62 percent rely on care manager referrals. These were just two findings from the 2017 Home Visits survey conducted by the Healthcare Intelligence Network. Nearly three quarters of the survey’s 107 respondents visit targeted patients at home, an intervention that can illuminate health-related, socioeconomic or safety determinants that might go undetected during an office visit. Who’s conducting these home visits? In more than half of responding programs, a registered nurse handles the visit, although on rare occasions, patients may open their door to a primary care physician (4 percent), pharmacist (4 percent) or community paramedic (3 percent). Once inside the home, the visit is first and foremost about patient and caregiver education, say 81 percent of respondents, with an emphasis on medication reconciliation (80 percent). Fifty-nine percent also screen at-home patients for social and economic determinants of health, factors that can have a huge impact on an individual’s health status. Patient engagement, including obtaining consent for home visits, tied with funding and reimbursement issues tied as the top challenges associated with in-home patient visits. How to know if home visits are working? The most telling success indicator is a reduction in 30-day hospital readmission rates, say 83 percent of survey respondents, followed by a drop in hospital and ER utilization (64 percent). 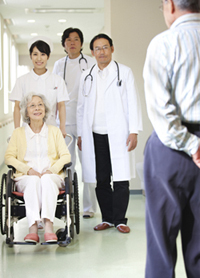 Seventy percent of survey respondents reported either a drop in readmissions or in ER visits. Eighty-five percent of respondents believe that the use of in-home technology enhances home visit outcomes. Fifteen percent report home visits ROI of between 2:1 and 3:1. Eighty percent have seen clients’ self-management skills improve as a result of home visits. Download an executive summary of results from HIN’s 2017 Home Visits Survey. Half of medication management programs engage retail or community pharmacists in 2016. When should a pharmacist be brought in for a medication management consultation? When the patient requests a consult, experiences general medication adherence issues, or suffers complications from medications, say respondents to the 2016 Medication Management survey by the Healthcare Intelligence Network. The 101 respondents to the August 2016 survey also indicated that as a general medication management guideline, and with or without a pharmacist’s involvement, polypharmacy patients, individuals taking high-risk medications, those registering frequent ER or inpatient stays and those transitioning between care sites should receive priority. Drilling down to clinical red flags for medication management, a diagnosis of diabetes is a key indicator, say 84 percent, followed by congestive heart failure or hypertension, say 81 percent of respondents. Despite the inclusion of pharmacists in 90 percent of medication management programs, 42 percent of respondents say pharmacists are not currently reimbursed for medication management-related tasks. The three most common components of medication management programs are education and health coaching (71 percent), a medication needs assessment (69 percent) and pharmacist counseling (68 percent). A pharmacist-driven clinical assessment is the most reliable standard for measuring medication management, say 63 percent of respondents. 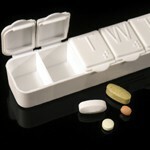 E-prescribing and aids such as medication event monitoring system (MEMS) caps, pillboxes and calendars are the most common medication management tools, according to 49 percent of participants. Patient-reported medication data is the information most commonly assessed for medication management, say 78 percent, closely followed by medication refill patterns (75 percent) and claims data (53 percent). Half of responding medication management programs engage a retail or community pharmacist. Fifty-eight percent of respondents not currently engaged in medication management plan to launch a program in the coming year. Forty-four percent of respondents share electronic health records for medication management purposes. Beyond a pharmacist-driven assessment, the Medication Possession Ratio (MPR) is the key measure of medication management for 31 percent of respondents. 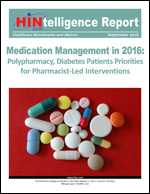 Click here to download an executive summary of survey results: Medication Management in 2016: Polypharmacy, Diabetes Patients Priorities for Pharmacist-Led Interventions. Even custodial or housekeeping staff can use the INTERACT Stop and Watch tool to record subtle changes in a patient. The RAVEN (Initiative to Reduce Avoidable Hospitalizations among Nursing Facility Residents) project by the University of Pittsburgh Medical Center (UPMC), aimed at improving quality of care for people residing in long-term care (LTC) facilities by reducing avoidable hospitalizations, is set to enter phase two in October 2016. Here, April Kane, UPMC’s RAVEN project co-director, describes a pair of key resources that have enhanced communication between providers, particularly those at the eighteen nursing homes collaborating with UPMC on the RAVEN project. Currently INTERACT (Interventions to Reduce Acute Care Transfers) is a quality improvement project and has been funded through Medicare. It is designed to improve the early identification, assessment, documentation, and communication about changes in the status of residents in skilled nursing facilities (SNFs). The goal of INTERACT is to improve care and reduce the frequency of potentially avoidable transfers to the acute hospital. These tools are free online. INTERACT is used in multiple settings, but in our long-term care setting, we’ve been primarily encouraging the use of two INTERACT tools. There are a wealth of others. First is the Stop and Watch tool. This is a very easy early detection tool that would be used by members of your nursing home staff, such as nurses aides, custodial or housekeeping staff, and other workers who have a lot of one-on-one engagement with residents. The goal would be to take that tool to either the LPN or the RN in charge of the unit they’re working on and say, “You know, I was with Mrs. Smith today. This is what I’ve been seeing that’s a little different with her.” That nurse should take that tool, validate its usage and then from there, go in and assess the patient. If appropriate, they should utilize a second INTERACT tool, SBAR (Situation, Background, Assessment, Recommendation), to provide a more thorough assessment of what is going on and determine if this is a true changing condition. The SBAR allows the nurse to provide feedback to physicians in the very structured format physicians are used to reviewing. This allows them to place all the vitals and information in one place. When they do make that call to the physician, they’re well prepared to update them with what is going on with a particular resident. The physician then feels comfortable in deciding whether to provide further treatment on site or if appropriate, to transfer out to the hospital, depending on that resident’s need. Click here for an interview with April Kane on the value of UPMC’s onsite enhanced care coordinators in the RAVEN project. Many states are moving toward co-payments for Medicaid patients who visit emergency departments for reasons classified as “non-urgent,” according to a new infographic by Policy Prescriptions. The infographic examines key characteristics of these non-urgent ED visits. Industry reforms, expanded coverage under insurance exchanges, Medicaid expansion, and shifting healthcare delivery models continue to influence emergency room utilization. In response, healthcare organizations employ a variety of strategies to reduce avoidable ER use. 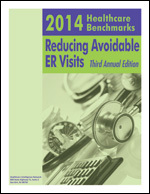 2014 Healthcare Benchmarks: Reducing Avoidable ER Visits delivers actionable metrics from 125 healthcare organizations on their efforts to foster appropriate use of hospital emergency departments. Ten common conditions represented more than 2 million annual emergency room visits in New York at an estimated cost of about $1.3 billion, and nine out of 10 of them could have been avoided or treated elsewhere, according to research issued by Excellus BlueCross BlueShield. A new infographic by Excellus BlueCross BlueShield highlights key findings from the study, including the impact of preventable visits and the geographic regions with higher rates of preventable visits. Asked by its C-suite to quantify contributions of its multidisciplinary care team for its highest-risk patients, AltaMed Health Services Corporation readily identified seven key performance metrics associated with the team. Having demonstrated the team’s bottom line impact on specialty costs, emergency room visits, and HEDIS® measures, among other areas, the largest independent federally qualified community health center (FQHC) was granted additional staff to expand care management for its safety net population. 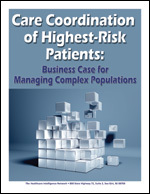 Care Coordination of Highest-Risk Patients: Business Case for Managing Complex Populations chronicles AltaMed’s four-phase rollout of care coordination for dual eligibles—a population with higher hospitalization and utilization and care costs twice those of any other population served by AltaMed. Can Digital Health Drive Down Diabetes Costs? The majority of organizations engage in digital health to enhance patient satisfaction with their healthcare experience, according to March 2016 HIN market metrics. New metrics from the Healthcare Intelligence Network (HIN) have determined that 58 percent of digital health initiatives target patients with diabetes, the global cost of which is now $825 billion per year, according to a new report from the Harvard T.H. Chan School of Public Health. Harvard, the World Health Organization and nearly 500 researchers around the globe recently conducted the largest-ever worldwide study of diabetes levels. Respondents to the February 2016 Digital Health Survey by the Healthcare Intelligence Network report that, along with the diabetes population, individuals with congestive heart failure and hypertension are also closely monitored by digital health programs. Weight and vital signs, key indicators that can signal complications with diabetes and other chronic conditions, are the health activities most frequently monitored by digital health, said 63 percent of survey respondents, a trend Melanie Matthews, HIN executive vice president and chief operating officer, would like to see expanded. 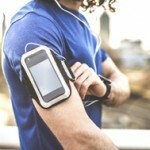 “In our device-driven era, many individuals already use at least one electronic tool for health-related reasons. Coaching people to use digital health to monitor vital signs like weight and blood pressure will foster self-management.” And with chronic conditions held in check, the industry should see a drop in hospital utilization and associated cost, Ms. Matthews predicted. Digital health, also called ‘connected health,’ leverages technology to identify, track and manage patients’ health problems. Individuals at moderate risk for hospitalization are the most engaged in digital health, said one-quarter of respondents. Seventy percent said the principal goal of digital health is to elevate patient satisfaction with the healthcare experience. Individuals at risk of a health crisis or hospital admission are the most heavily invested in digital health, according to one-quarter of respondents. Mobile and tablet apps are the front-running digital health platforms, say 78 percent of these respondents, with online health education the principal digital health activity for 58 percent. Overall, patient engagement proves the biggest digital health hurdle to overcome, say 23 percent of respondents. For more 2016 digital health metrics, download the Digital Health Survey executive summary. Posted in Avoidable ER Use, Chronic Care Management, Diabetes Management, Healthcare Wearables, Patient Engagement, Remote Monitoring, Value-Based Reimbursement | Comments Off on Can Digital Health Drive Down Diabetes Costs? Novant Health's team of 12 clinical pharmacists supports medication management across the care continuum. It’s a statistic healthcare organizations know well: 20 percent of Medicare beneficiaries are readmitted to the hospital within 30 days. Factor adverse drug events (ADEs) into this trend, and the picture becomes more dire. Enlisting pharmacists to reduce the number of ADEs in the Medicare population is just one goal in a five-point program by Novant Health to deliver healthcare value through medication management services. The list of ADE risks is extensive. By the end of Ms. Bean’s February 2016 presentation on Medication Management: Using Clinical Pharmacists To Complete Comprehensive Drug Therapy Management Post Discharge in High-Risk Patients, now available for replay, she had identified more than 25 different factors that can complicate medication management everything from a patient’s affordability issues, even among the insured, to fear of a drug’s side effects to potential dangers from high-risk medications or health conditions. In the Novant Health model, an RN care coordinator risk-stratifies the newly discharged, combing real-time hospital discharge notifications for red flags, such as patients taking high-risk medications or having high-risk conditions, signaling the need for a pharmacist referral. Once referred, pharmacists conduct a comprehensive drug therapy review, keeping an eye out for adverse effects, newly prescribed medications and polypharmacy as well as general medication adherence issues. “There could be financial barriers to getting their medications. There could be health literacy issues. Those are the sorts of things we want to make sure we’re directing pharmacist resources toward,” noted Ms. Bean. Aware its providers have limited time to spend with patients, the integrated health system layers its pharmacists as an additional resource to improve quality performance, to incorporate protocols and evidence-based guidelines such as the all-important medication reconciliation. In an era of electronic health record use, the medication list has become dynamic, with many providers editing the list, Ms. Bean notes. Ms. Bean shared seven ways Novant Health pharmacists impact comprehensive medication management services, including the dozen benefits of incorporating these clinicians into its patient-centered medical homes (PCMH). Encouraged by early financial gains from pharmacist interventions, particularly in the areas of medication reconciliation, therapeutic monitoring and warfarin review, Novant Health is committed to staff development to further its medication management program, exploring certification programs and even pharmacy resident programs. “We feel it’s really valuable in the discharge space to be able to get a pharmacist involved with taking care of patients,” Ms. Bean concluded. Listen to an interview with Rebecca Bean in which she offers ideas to improve the accuracy of medication lists. One in three healthcare consumers are disengaged from self-care, prevention and health IT, explained Intermountain Healthcare's Tammy Richards, corporate director of patient and clinical engagement. Dismayed by national dips in patient engagement, satisfaction and health literacy, among other industry currents, Intermountain Healthcare convened a patient engagement steering committee composed of its highest level leaders. What emerged was a strategic six-point patient engagement framework that not only has transformed patient care by the Salt Lake City-based organization but also has fostered a climate of shared accountability throughout the not-for-profit health system. In a dramatic example of the framework’s potential, Tammy Richards, corporate director of patient and clinical engagement at Intermountain Healthcare, described how one Intermountain ER nurse, using newly acquired engagement skills, emotionally and personally connected with Harold, an alcoholic, disenfranchised frequent ER utilizer who previously had only reacted in an angry, abusive fashion. “We changed, and Harold changed, and this is really what patient engagement is about: genuinely connecting with individuals, understanding their story and then providing them with the tools, electronic or personal, to heal or hopefully stay healthy,” Ms. Richards said during A Patient Engagement Framework: Intermountain Healthcare’s Approach for a Value-Based System, an October 2015 webinar now available for replay. In presenting the six key program tenets, Ms. Richards underscored how her organization’s multilayered approach supports the mission of Intermountain Healthcare: Helping people live the healthiest lives possible. Intermountain was particularly disturbed by Deloitte’s finding that one in three healthcare consumers are disengaged, Ms. Richard explained. “[The disengaged] are reporting less desire for care, less commitment to preventive action, less interest in technology and other solutions, and they are less financially prepared,” she said. That critical data point ignited Intermountain’s efforts to reengage and engage its consumers, she added. Better-timed offering of care decision aids to patients. With its engagement framework in place, Intermountain will continue to explore new methods of creating a seamless, integrated care experience for its patients, so that it may better serve its Harolds, its chronically ill, and even its pediatric populations, Ms. Richards concluded. Click here for an interview with Tammy Richards. With access to some of the most highly educated and trained medical professionals in the world, providing Americans with the best patient care possible should be simple. Unfortunately, that’s not often the case. Poor communication between specialists, duplicate tests and unnecessary procedures are frequently the norm rather than the exception, leading to costly, dangerous and sometimes deadly consequences. With so many specialists and resources readily on hand, how is this happening? The problem is a lack of care coordination. Simply put, care coordination is the idea that all specialists treating a patient should communicate and share information to ensure that everyone acts as a team to meet patient needs. This includes reporting all results back to a primary care practice or to someone coordinating patient care, and ensuring that labs, specialists, hospitals, and long-term care facilities work together to communicate information quickly and appropriately. It’s about primary care physicians, nurses, technicians, specialists, and caregivers collaborating on patient care rather than working as separate entities. The average Medicare beneficiary interacts with seven physicians in four different practices during a single year, according to the New England Journal of Medicine. For those with chronic conditions, the numbers can be even higher. And, nearly one-fifth of Medicare patients who are hospitalized are readmitted within 30 days of discharge, and 75 percent of these readmissions could have been prevented by improved care coordination. Too often, patients discharged from hospitals don’t get the support and encouragement they need to take their medicine, follow their diets, and adhere to the regimens doctors have prescribed during their stay. Many of these problems can be solved by improving care coordination, and that starts with communication between care sites. Start the dialog: As a rule of thumb, improving communication between care sites begins with healthcare providers asking themselves what they know that others need to know, and sharing that information with the patient’s care team. What do patients need to know when they’re referred to a specialist? What do the specialists that patients are being referred to need to be aware of, e.g. what tests have already been completed? 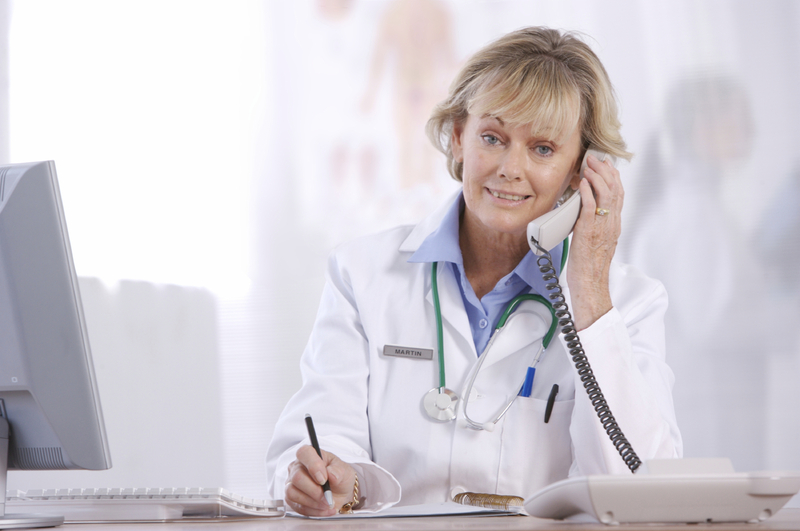 Has the primary care physician been informed? Create a team and make it accountable: Organizations should start by assigning a team of people to be accountable for managing patient care. Define the extent of their responsibilities for key activities such as following up on test results and communicating information to other physicians. Establish when specific responsibilities should be transferred to other care providerswhether that means specialty physicians, long-term care facilities, or home care providers. Designate care coordinators: Designate staff that will act specifically as care coordinators can help to reduce hospital readmissions. Before patients leave the hospital, care coordinators should meet with them to make sure they understand the treatment plans they need to follow at home as well as any changes to their medication regimens. The hospital care coordinators also must follow up on any pending labs and imaging studies and contact primary care physicians to communicate updated medications, treatment plans, and test results for their patients. The likelihood of readmission drops significantly when patients leave with a clear understanding of their treatment plans and when their primary care physicians know what is necessary during follow-up care. This same communication protocol should also apply to patients who leave the hospital for long-term care facilities. In this instance, the hospital care coordinator should communicate discharge instructions to the long-term care staff. As soon as residents return to the long-term care facility, staff there should meet with residents to review their discharge instructions, answer their questions, and communicate with the hospital if any further clarification is needed. Long-term care staff should also follow up regularly with these residents to ensure they continue to comply with instructions the doctor has recommended and intervene if any problems arise. Standardize communication processes: Create a protocol for filling out patient charts in a standard way so they are easy to interpret and key elements aren’t overlooked. You also should standardize communication by using structured forms to ensure primary care providers, specialists, and long-term care providers all have the same and necessary information. Develop a referral tracking system: Creating a system to internally track and manage referrals and transitions including consultations with specialists, hospitalizations and ER visits, and referrals to community agenciescan go a long way towards improving communication between care sites. It will help to ensure patients are well prepared for their referral visit and know what to expect afterwards. And, it simplifies follow-up with referral providers about findings, next steps and treatment plans. Follow up on referrals: When a primary care physician refers a patient to a specialist, for example, office staff should follow up to make sure the appointment was made and completed. In addition, office staff needs to ensure the specialist shares his findings with the primary care physician so he can be well versed on the patient’s progress and any additional steps to be taken. Notify providers in the patient’s medical neighborhood: Similarly, when patients visit the emergency room or are admitted to the hospital, communication should be a priority. In this instance, hospital staff should notify the primary care practice so the primary care doctor can follow the patient’s progress through discharge and institute a care plan to prevent future admissions. In addition, the practice can reach out to patients when they leave the hospital to make sure they understand discharge instructions and schedule follow-up appointments. When the patient comes in for follow-up care, the primary care physician should have a complete history of specialists seen during the hospital admission, their recommendations, and tests performed, along with the results. The healthcare industry can no longer simply “discharge” patients. Providers must now work collaboratively with all others across the continuum of care to transition and coordinate the ongoing care of every patient. That’s what care coordination is all about. About the Author: Richard A. Royer has served as the chief executive officer of Primaris since 2001. He has extensive administrative healthcare experience and is actively involved in several statewide healthcare initiatives. In 2006 he was appointed by the Missouri governor to the Missouri Healthcare Information Technology Task Force and chaired the resources workgroup. He also serves on the board of directors as treasurer for the Excellence in Missouri Foundation. In his over 35 years of medical business experience he has held positions as chief executive officer at Cuyahoga Falls, Ohio, General Hospital; executive director of Columbia Regional Hospital in Missouri; and founder and president of Avalon Enterprises, a medical financial consulting firm. HIN Disclaimer: The opinions, representations and statements made within this guest article are those of the author and not of the Healthcare Intelligence Network as a whole. Any copyright remains with the author and any liability with regard to infringement of intellectual property rights remain with them. The company accepts no liability for any errors, omissions or representations. Dedicated post-discharge clinics address medication concerns so high-risk patients don't end up back in the hospital. Almost one-quarter of healthcare organizations24 percentoperate dedicated post-discharge clinics for patients recently discharged from the hospital, nursing home or ED, according to the April 2015 Care Transitions Management survey by the Healthcare Intelligence Network. A post-discharge clinic is designed to address issues related to a patient’s recent hospitalization and ensure that the individual’s transition from hospital or post-acute facility to their primary care doctor is smooth. “One tactic [for reducing readmissions] is to encourage each of our patients going home from the hospital and SNF to make an appointment at our post-acute clinic with the physician who does medication reconciliation. She asks the patients to bring in all the medications they were on before they went to the hospital and all those prescribed at the hospital. A dedicated post-discharge clinic is one way to plug glaring gaps in care transition management: insufficient follow-up. More work is needed during the actual patient handoff to break down the top barrier to smooth care transitions identified by HIN’s fourth annual care transitions management assessment: communications between care sites. 2015 Healthcare Benchmarks: Care Transitions Management HIN’s fourth annual analysis of these cross-continuum initiatives examines programs, models, protocols and results associated with movement of patients from one care site to another, including the impact of care transitions management on quality metrics and the delivery of value-based care.